If you run or own a bar or club, finding a source of bar supplies can help make bar keeping easier. The best bar equipmentand supplies can improve efficiency as well as profitability, making your establishment even more successful. From consumables like paper towels to the right glass washer, bar supplies are an integral part of day to day operations. Before you order, make sure your bar’s layout and space configurations can accommodate your bar equipment. As you select bar supplies, keep in mind the types of items and special tools you need to best serve your customers. Gator Chef offers a large amount of bar supplies, including Pourers, Shakers & Jiggers, Bar Blenders & Juicers, Bottle Openers & Utensils, Glass Washing Equipment, Champaign & Wine Coolers, Bar Caddy & Condiment Servers, Glass Racks & Speed Rails, Bar Mats & Towels, Bar Sinks and Ice Bins in great quality to help you meet all your customer needs. EDU Resource: What Equipment Will I Need To Open A Bar? On busy nights, every helpful tool comes in handy. At Gator Chef, our bar supplies are meant to aid your bartenders with every task: pouring, mixing, measuring, cleaning, etc. 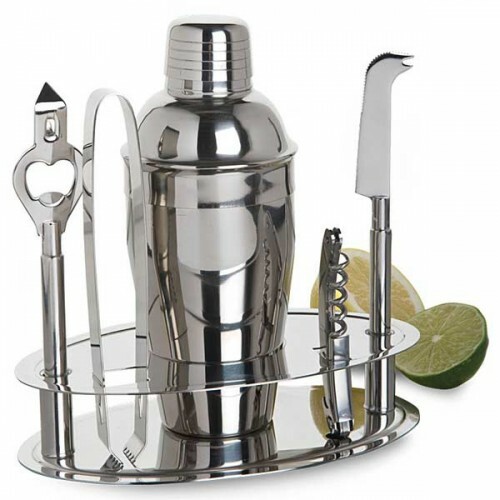 Liquor pourers, though a small item, are useful in the sense of efficiency, cleanliness, and exactness. Ensure drinks are being prepared and served in a timely manner, without the worry of over-pouring or dripping. We offer a variety of liquor pourers in various sizes, colors, and designs. Choose from metal or plastic pourers, collar or no collar, clear or colored. From margaritas to daiquiris and everything in between, commercial bar blenders and juicers offer an easy and efficient way to concoct the perfect drinks. At Gator Chef, we offer a wide variety of blenders and juicers to meet your needs. Depending on the volume and need of your bar, we have both economic and premium blenders with varying capacities and strengths. In addition, each juicer we list is designed to juice small, medium, or large citrus fruits depending on your need. Whatever frozen drink, smoothie, or shake you need to whip up, we have the right commercial bar blender or juicer to do so.